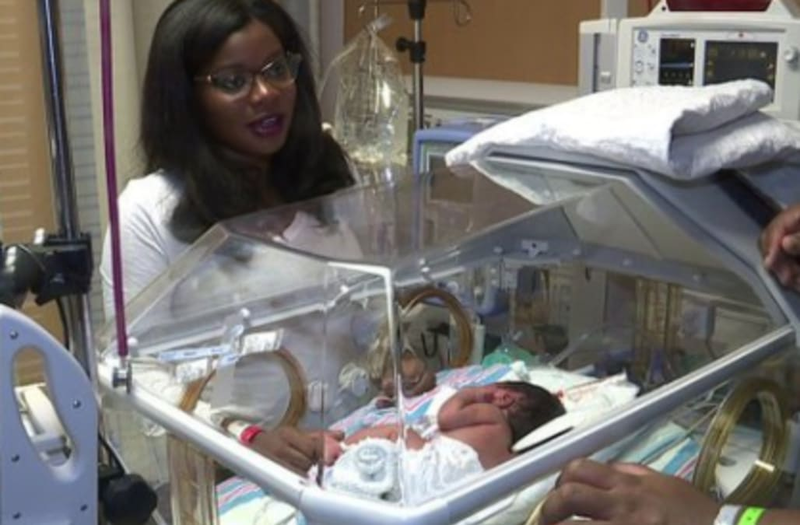 BEDFORD HEIGHTS, Ohio (WJW) -- Tasha Wilburn, 28, says she felt like she might be going into labor early Wednesday morning at her home in Bedford Heights, but there's no way she could have anticipated the birth of her first child, six weeks before the due date. "As I was headed to the living room where my cell phone was, I felt something down there and I went to reach down there and it was -- the head," said Wilburn. It happened so quickly that Tasha Wilburn delivered her own baby in the kitchen of her home. The new mom told FOX 8 News, "She was coming; I just had to do what I had to do, I guess. I don't know what kicked in. This is my first child. I've never been pregnant before. I didn't even go to the classes yet, like birthing classes and what to expect; I didn't know." "I'm amazed actually; she's a warrior. I was in total shock and awe,” said Wilburn.